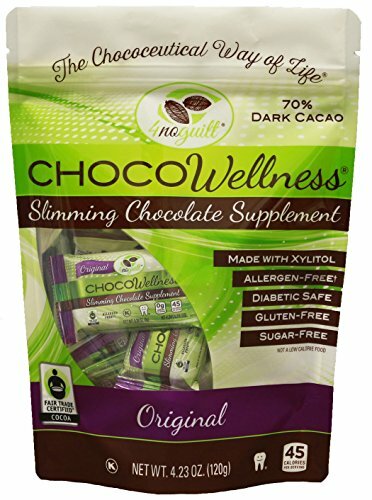 CHOCOWellness® is a delicious sugarless - xylitol sweetened chocolate. It is vegan, gluten free, and dairy free. Healthy Chocolate has herbs in it that will help curb your hunger and may help regulate your blood sugar levels. Made from organic and Fair Trade Certified cocoa. If you have any questions about this product by 4noguilt®, contact us by completing and submitting the form below. If you are looking for a specif part number, please include it with your message.